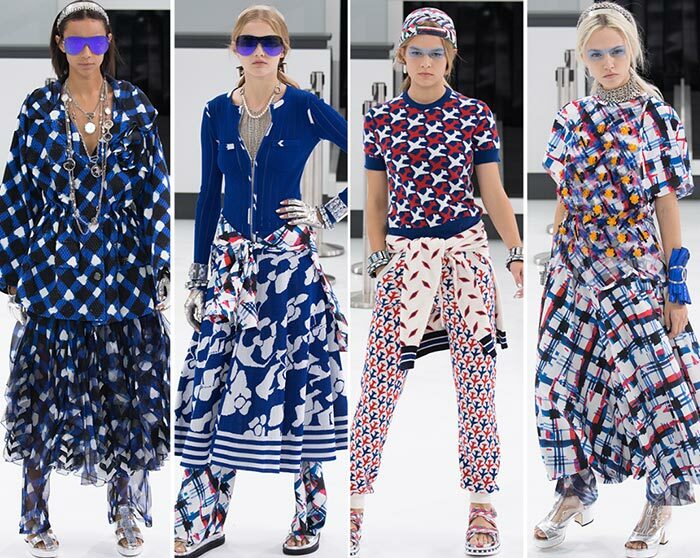 What else does the insatiable fashion world hanker to get hands on? 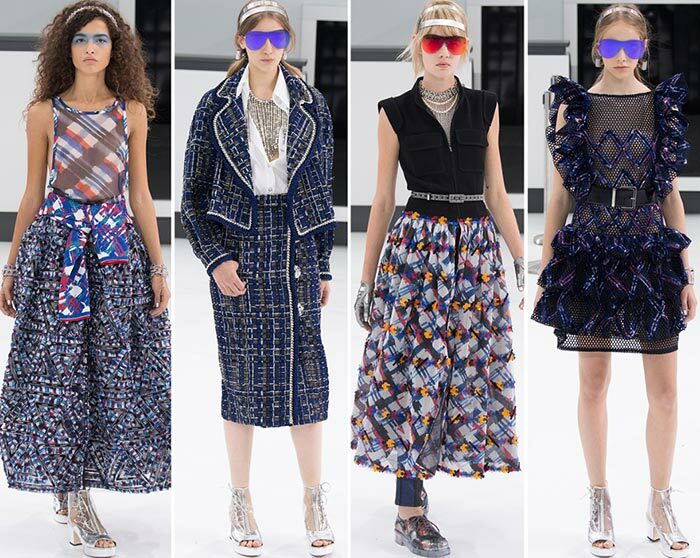 It has the French luxe brand Chanel and the mega energetic and never-planning-to-stop fashion designer Karl Lagerfeld. Now imagine the union of these two bombs and keep on wondering how the fashion world hasn’t yet exploded into pieces. 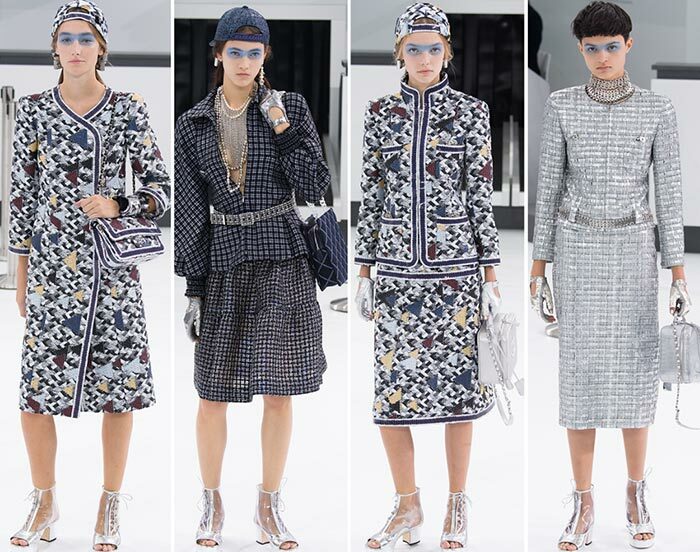 Lagerfeld is not only a savvy and thick-and-thin custodian of Dior’s signature jacket but also a strong maverick, which means enjoying iconic Chanel imbrued with iconic Lagerfeld’s inexhaustibly extravagant vibes. 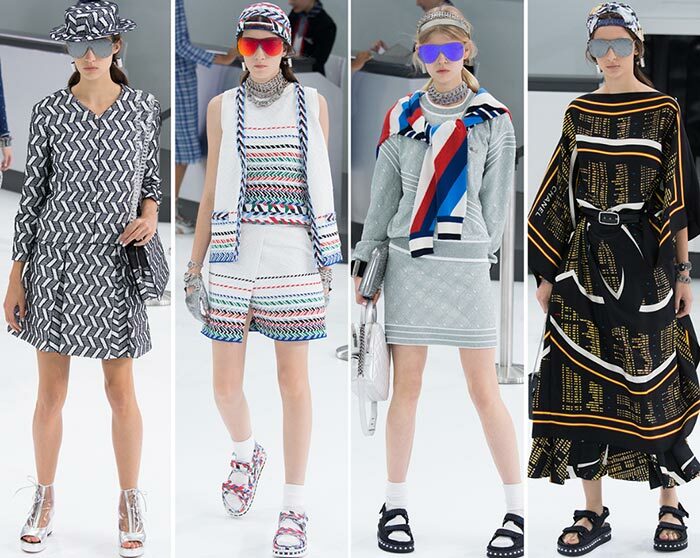 The Chanel spring/summer 2016 runway collection staged today at the Grand Palais transformed into Chanel airport terminal with baggage checks, numbered gates and all those typical of airport things showed us once and for all that the iconic designer would never stop exploring different aspects of life and different corners of his own soul. 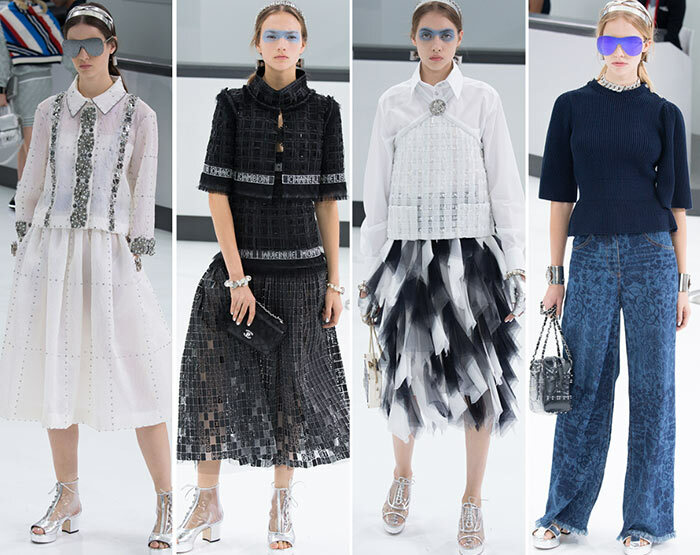 The Chanel RTW spring 2016 collection was unveiled and immediately sent to the trove of our favorite trends for the upcoming warm seasons. The whole lineup seemed somewhat elegant and royal but not in its traditional expression, like, say, we see a skirt suit on a lady and find it needless to look down at the footwear knowing for certain that it will be a pair of elegant and exquisite pumps. 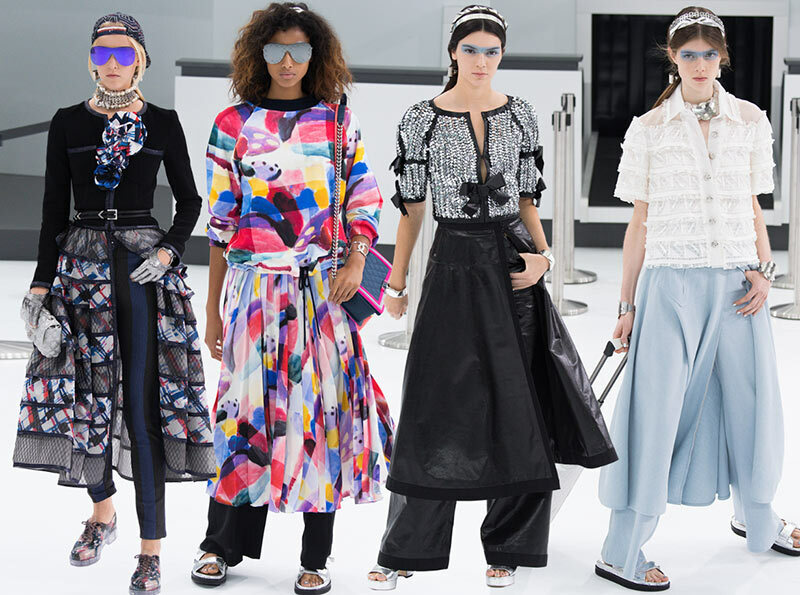 But with unpredictable and sharpening Lagerfeld it was a must to look and even stare at the footwear to find there silver sandals, lace-up boots with transparent effects, open toes and square heels, as well as impressive Velcro sandals. And gazing at the models’ heads was also a must; you would see there on the heads backwards baseball caps as if it was quite natural to match classic suits with sporty caps. But metallic headbands and pork pie hats were also appearing on the runway especially for traditional women. 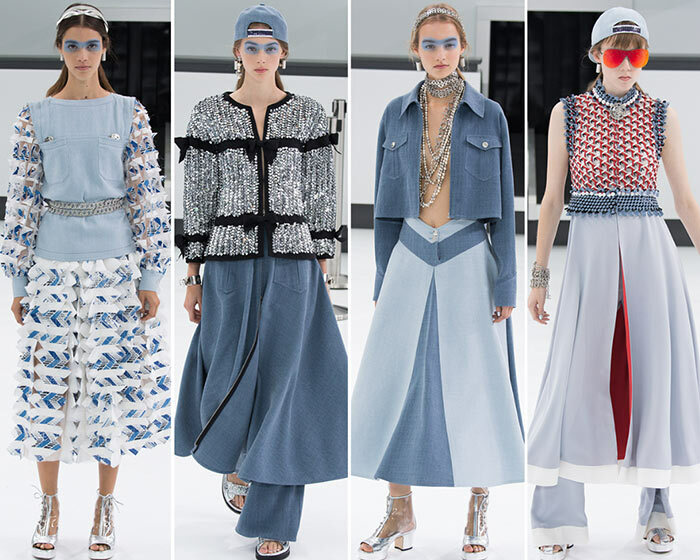 Futuristic aviator sunglasses with super eye-hiding effect were cool and fresh but even more striking were models’ eye makeup mimicking electric green and blue sunglasses. Rolling suitcases, carry-all bags and an innovative micro-sized luggage bag were featuring Chanel’s sweet gifts to our sultry hands. 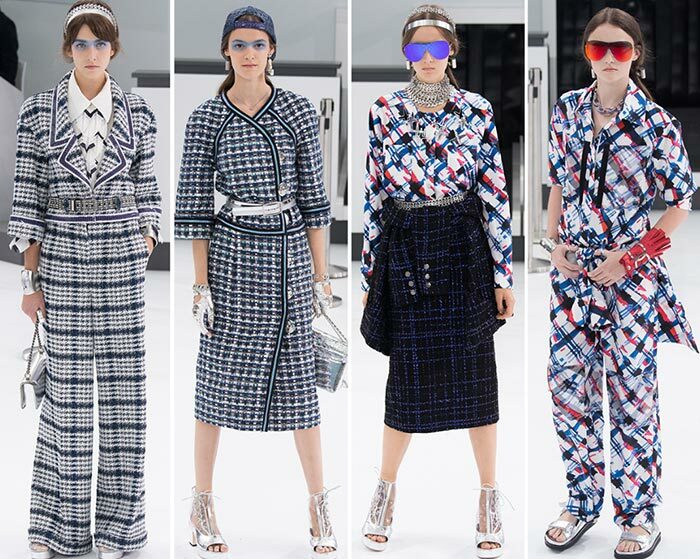 With his Chanel spring 2016 collection our favorite designer strongly recommends us to spend our warm and sunny days in the air between different continents, but what he mostly cares about is how his elegant and modern clientele will look while in the plane. 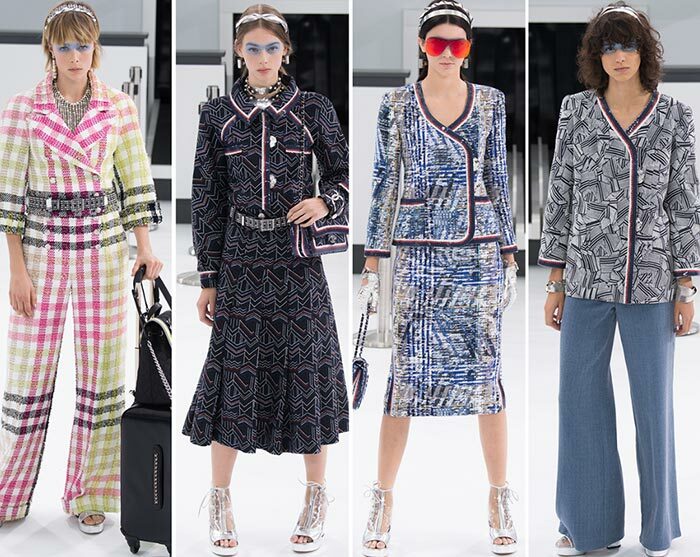 The answer is she will look ultra-chic and ultra-contemporary with those tweed pantsuits, checkered or houndsooth skirt suits or with those boxy jackets and blazers with abstract patterns and botanical motifs and each of them featuring an abruptly different design and silhouette. While the pants were more often than not flaring and languid at times with trumpet-hems, the skirts were regularly changing their shapes and lengths. Calf-length checkered godet and pleated skirts were being alternated by midi skirts of precisely cut shapes and symmetrical hems. 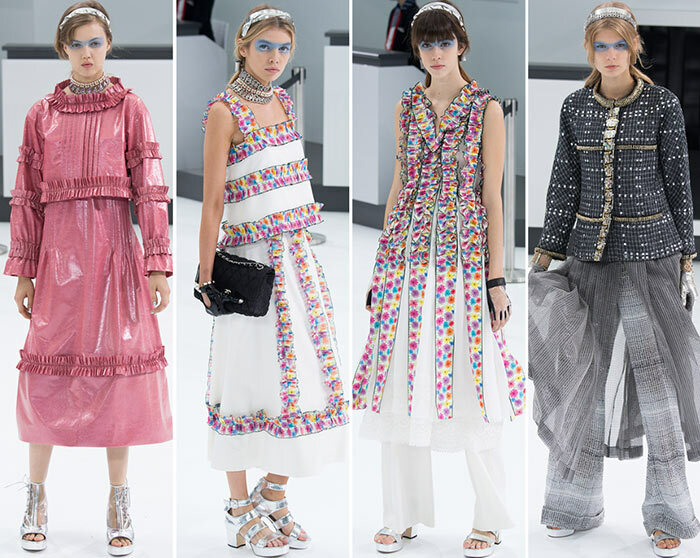 The second part of the Chanel airport spring 2016 runway show made a transition into bohemian looks, lightweight fabrics and audacious combinations: we saw an oversized black-blue jacket with wide sleeves worn over a tulle colorblock dress with multiple layers at the hems, which was in its turn worn over tulle pants. 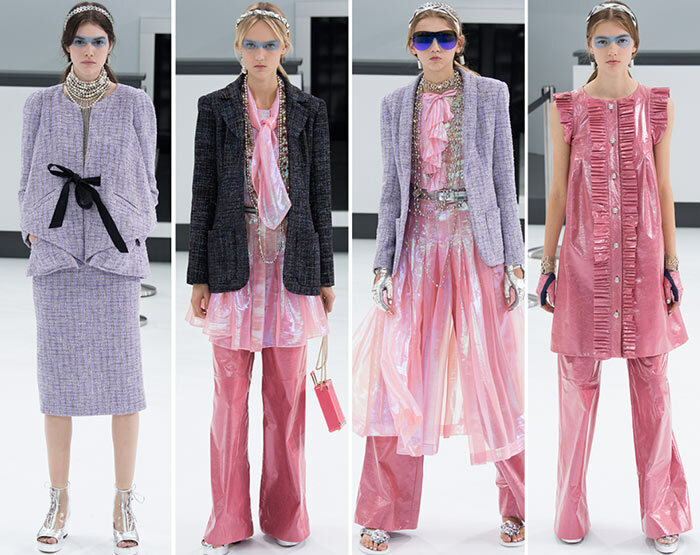 Or maybe you would dare to tie the jacket around your waist or around shoulder; Lagerfeld would definitely approve it. 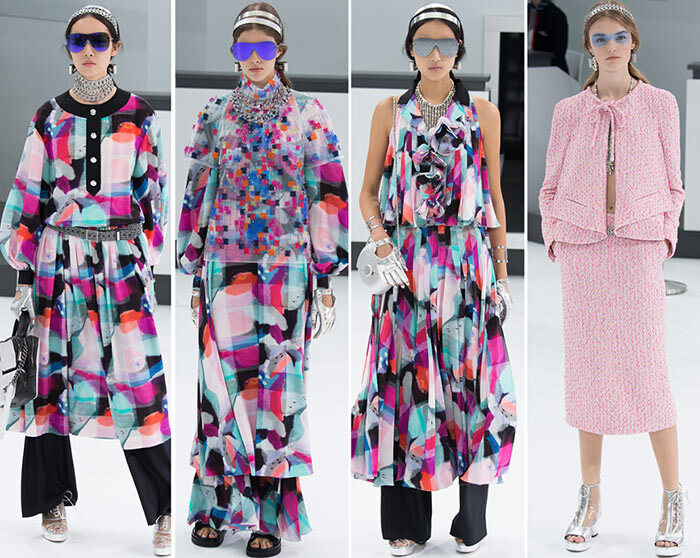 The multicolored mosaic or paintbrush effects on some of the liquid pieces were soon reduced thus giving way to a smattering of romantic shirtdresses and skirt suits embellished with mosaic ruffled panels some of them stretching horizontally, others vertically. 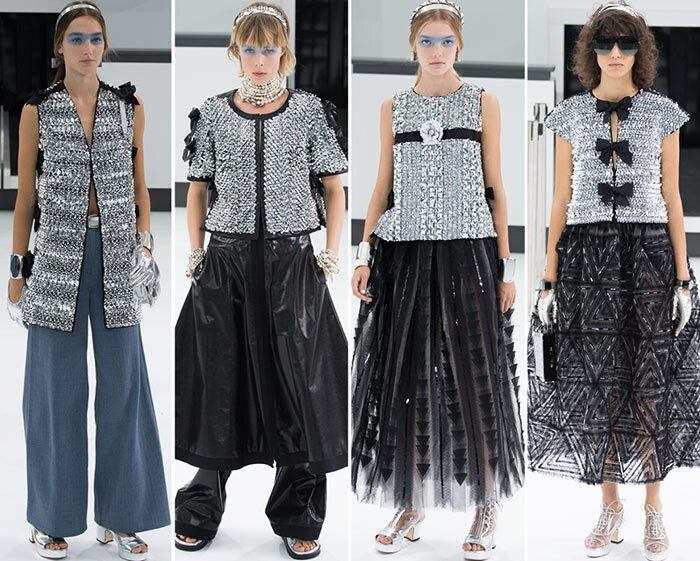 Those silver strapless or short-sleeved tops encrusted with sparkling beads and romantic bows were looking super-chic especially combined with all-black bottoms.